You cannot be in the office every minute of every day - despite the fact that some users may expect that. However, remote server monitoring solutions allow you to have "someone" looking after your network, even while you sleep. No, this is not some science fiction idea. Remote server monitoring actually offers you the ability to keep an eye on things, and to respond to issues without being physically in the office. Interested in getting a little freedom and tired of getting that middle-of-the-night "server down" phone call? Then read on to see how your new best friend can help you out. "Prevention is worth a pound of cure," the doctors are fond of saying. It also applies to your network. If you are busy handling the multitude of tasks that often fall on the shoulders of an overworked system administrator, the last thing you want is a steady stream of problems to make your day worse. Remote server monitoring can run a series of customizable checks, giving you clear insight into the way your network is performing. In this way, hard disk space remaining and performance, the status of your last backup, antivirus updates, Windows services and other critical events can all be monitored and resolved before they cause disruption to your network. You can receive constant updates about the health and performance of your network while you are out. By using a remote server monitoring solution you can receive notifications by email or text message, allowing you to respond immediately to critical events. Even though you may be out of the office, you can still stay in touch with what is going on and keep your system running in top shape. 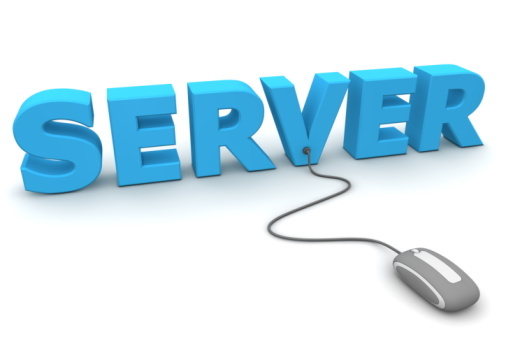 There is no need to have different screens when using remote server monitoring. One simple management interface allows you to see the exact state of your network at a glance. Remote network monitoring solutions allow you to quickly incorporate new workstations into your network and make additions on the fly. Because such additions rarely take more than a few clicks, you can log into your solution and add a new machine to the service without having to return to the office. Cloud-based network monitoring solutions also have the advantage of being scalable to allow you to easily incorporate new computers, without such increases taking a big bite out of your software licensing budget. A good network monitoring solution should also be able to take remedial actions remotely, such as automatically restarting a service or rebooting a server. That gives you peace of mind as the solution is able to remedy situations without you even being in the office. A remote network monitoring solution can remove a great deal of tasks from a busy system administrator, giving him/her the flexibility to work from anywhere they may be. Companies no longer have to worry that their administrator is out, as the remote server monitoring solution can keep the network running smooth in his place. Yet if something does need his/her attention, the solution can let him/her know immediately - just like a best friend should.